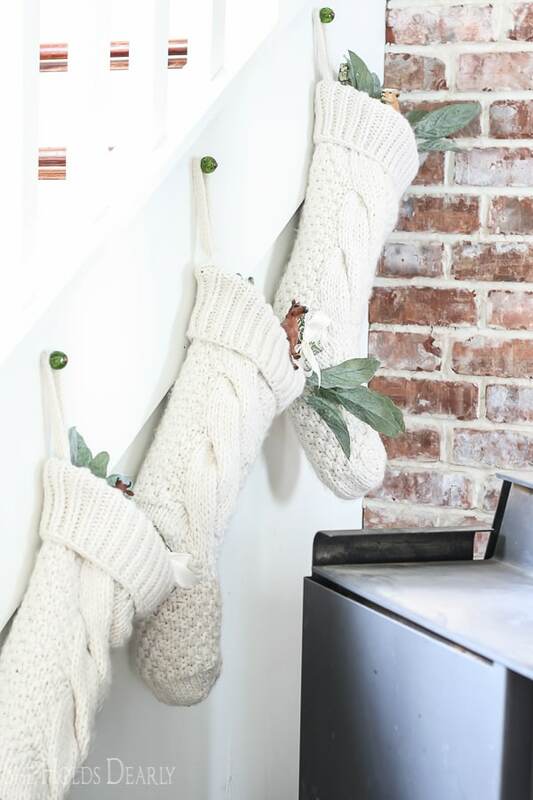 These 10 non-mantle stocking ideas solve the problem of where to hang stockings if you have no mantle. 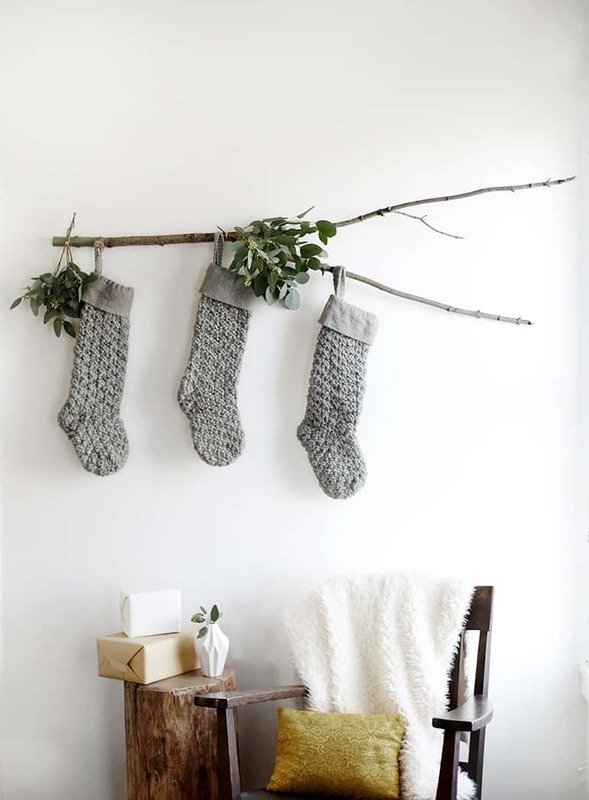 Lately I have been sharing some ideas over on my Facebook page for where to hang stockings if you have no mantle. Turns out its a very popular subject! Here at the farmhouse we have no mantle. I would love to have one but there is no space anywhere for it, so I had to get creative on stocking placement. 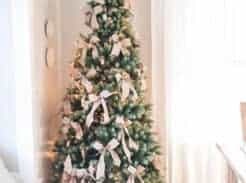 I searched my favorite blogs and found there are so many beautiful non-mantel stocking ideas. 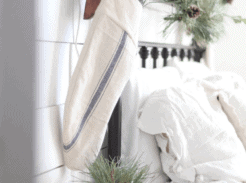 First up, this DIY stocking post from Shades of Blue Interiors. I love her solution here. No mantle. No problem. Just build a post with the specific duty of holding stockings. She even added a sign with their last name to the top. What a special and unique piece. 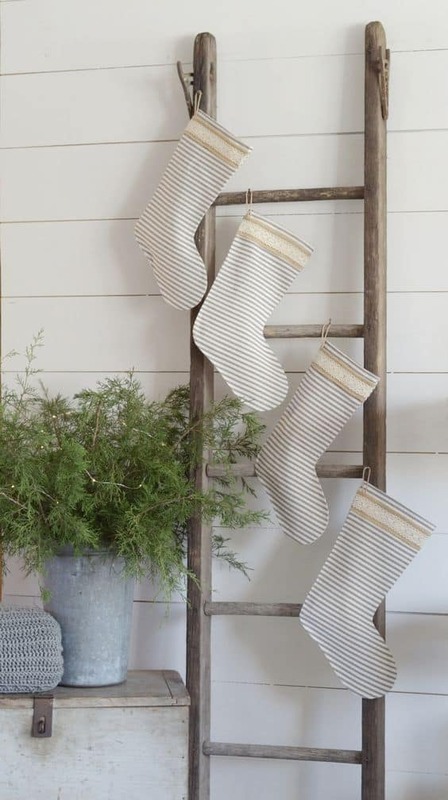 I love how Flat Creek Farmhouse hung her lovely ticking stripe stockings from an antique ladder. You can see the rest of her simple Christmas ideas HERE. She Holds Dearly had a lovely idea to hang stockings along her staircase. How cozy and beautiful! 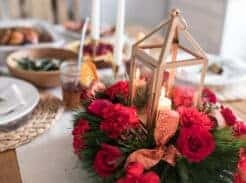 She even shares how to make a DIY O Holy Night Sign in this post. 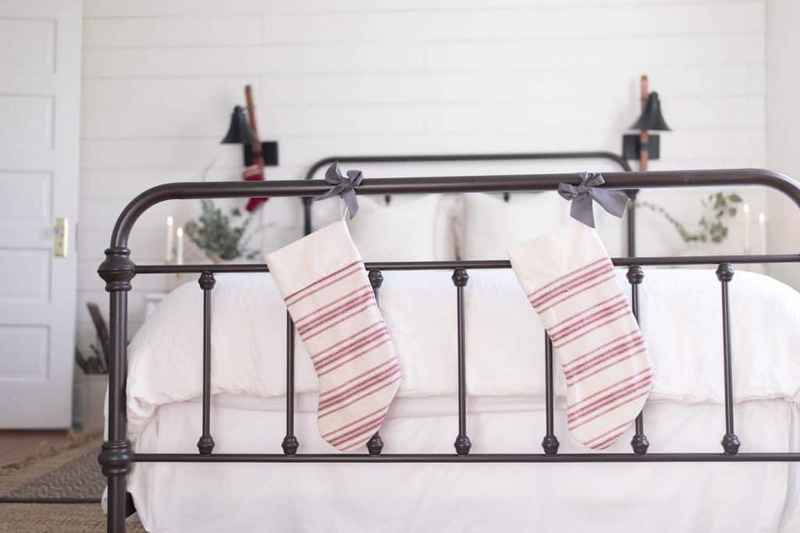 City Farmhouse hung her stockings from a simple peg rack. I love the ice skates in the middle! 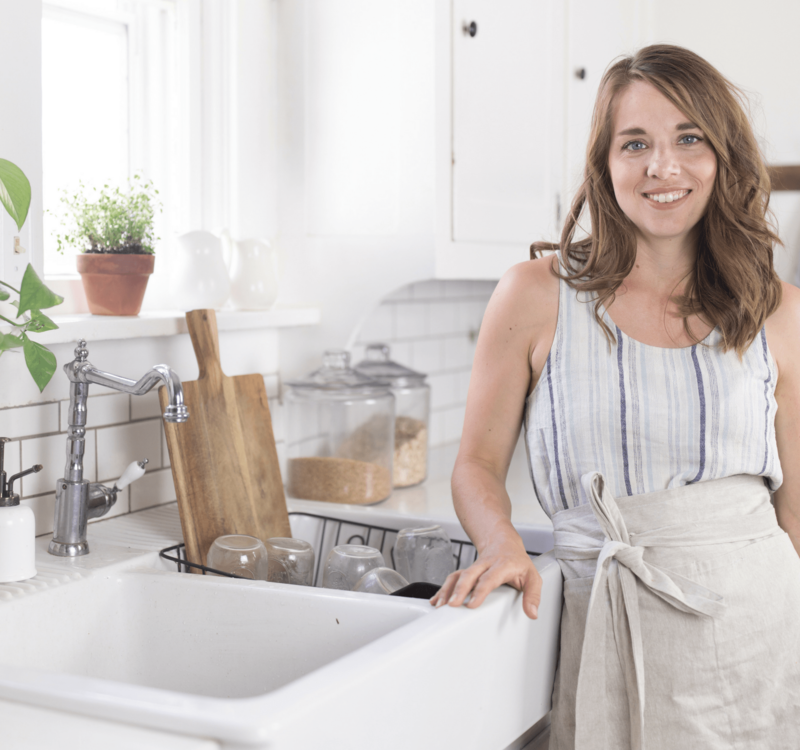 Get the rest of her holiday house tour HERE. This next idea comes from yours truly. Here in the farmhouse I solved the no mantle problem by hanging our stockings on the bookshelves. Love Grows Wild hangs stockings on the wall with some simple black hooks. Be sure to check out the rest of her Christmas home HERE. This idea just might be my favorite of all! 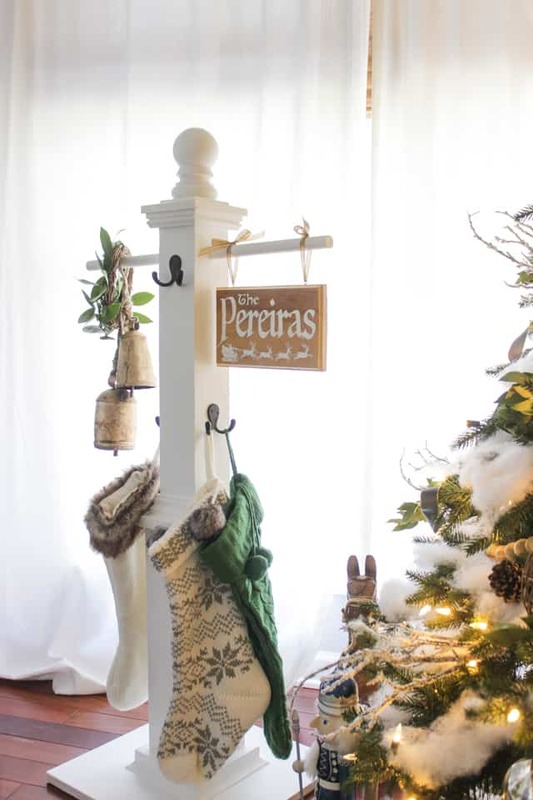 The Merry Thought shows you how to create a DIY branch stocking display HERE. This next one is another from Ye Olde Farmhouse on Boone. Stockings on the end of the bed. Why not? Try hanging them on a dresser like Liz Marie Blog did in this photo. 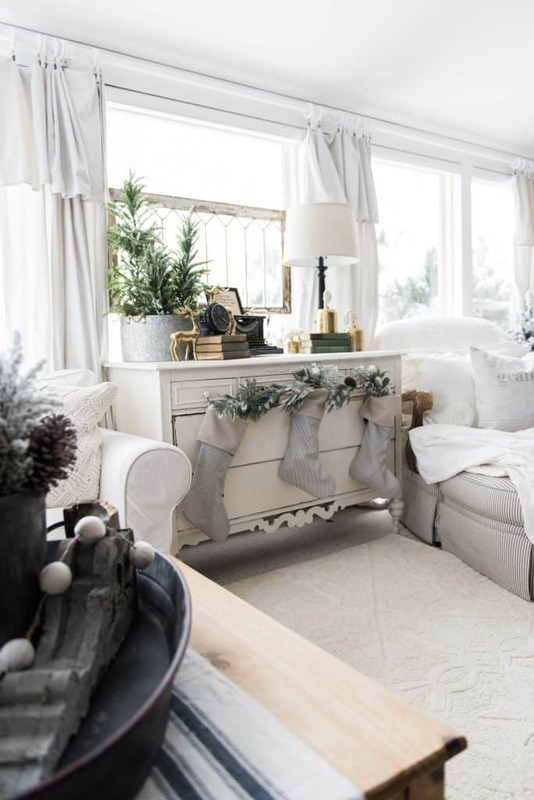 Get the rest of her cozy neutral farmhouse Christmas HERE. They look lovely in the window at Becky’s Farmhouse. 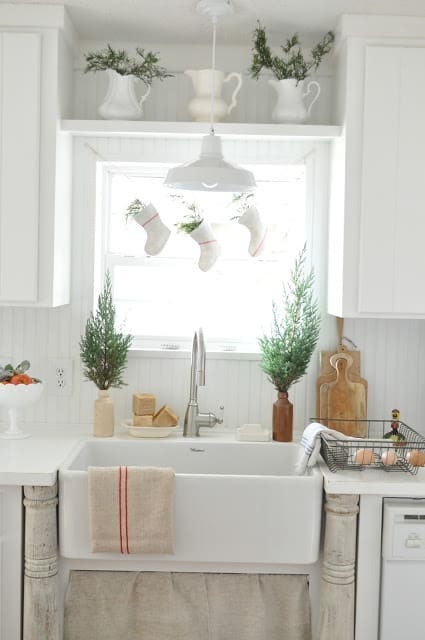 See the rest of her farmhouse Christmas tour HERE. 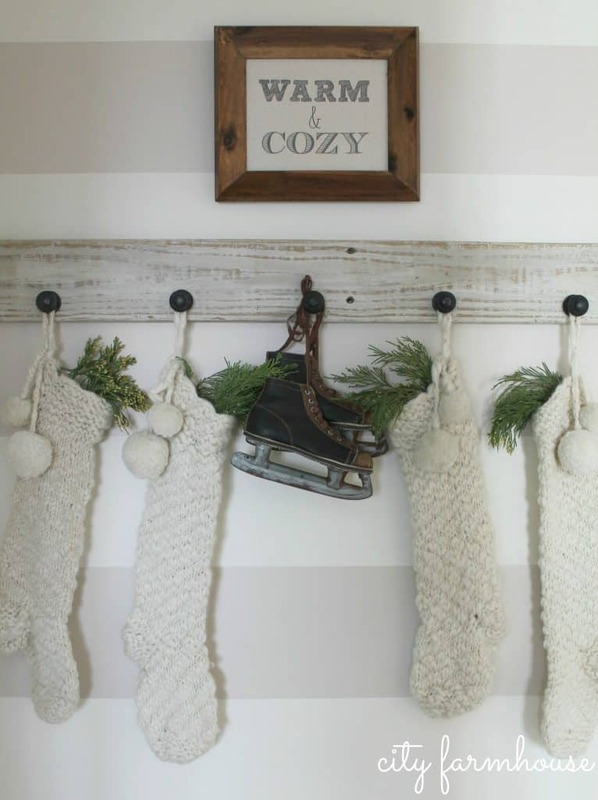 Hope you enjoyed these 10 non-mantle stocking ideas. Mantle was not possible this year, so I hung our stocking in heavy stocking hangers over the open edge of our staircase. Worked well. Probably will do this from now on.